PRC online application has made applying for the board examination tremendously better. In the old, sluggish system, applicants wasted a lot of time just to get, accomplish, and submit their application forms at the PRC office. 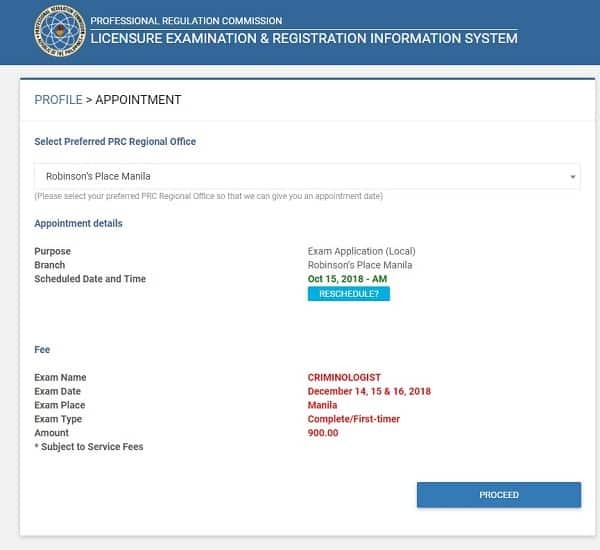 By contrast, PRC’s newly developed LERIS (Licensure Examination and Registration Information System) has enabled examinees to accomplish their application forms and secure an appointment with the PRC online. 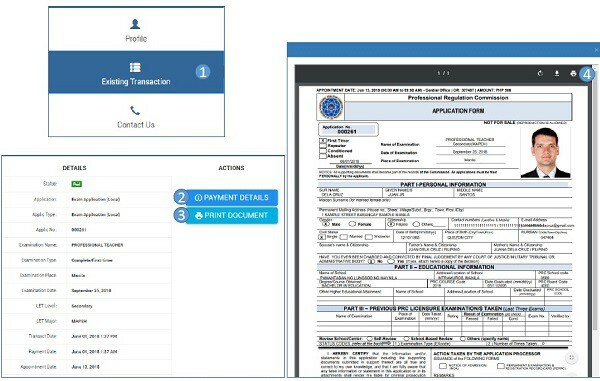 Now fully implemented in the PRC central and regional offices, LERIS has dramatically cut processing time so you can complete the entire application process relatively faster. In this definitive guide, I’ll walk you through all the steps required for PRC online application–from the initial online transaction to the final procedures at the PRC office. 1. Prepare all the requirements. 2. Register with the PRC online portal (LERIS). 3. Sign in to your account and complete your online profile. 5. Select the licensure examination you’re applying for. 6. Schedule an appointment with the PRC. 7. Choose your preferred payment method. Option 1: PRC – CASHIER (over the counter). 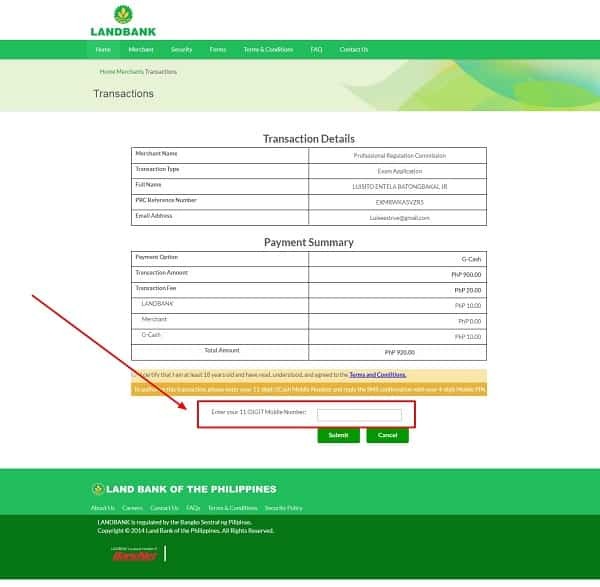 Option 2: LANDBANK (online payment). For Land Bank ATM Card. Option 3: UCPB (over the counter). 8. Print your application form. 9. Proceed to the PRC on the date and time of your appointment. 1. Who can apply for the licensure examination? 2. 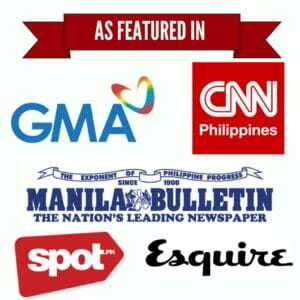 Are foreigners allowed to take professional licensure examinations in the Philippines? 3. I’m currently abroad. Can I apply for the licensure examination through a representative? 4. How much is the examination fee? 5. 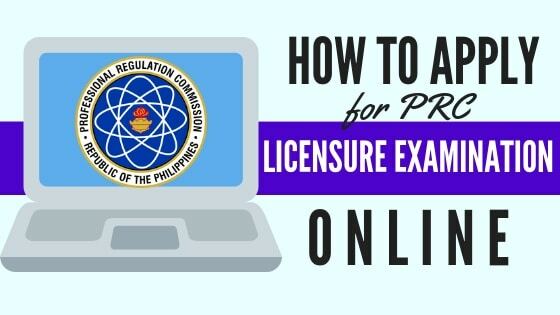 What are the requirements for those re-taking the licensure examination? 6. The LERIS website is down and inaccessible. Can I do a walk-in application instead? When applying for the licensure examination, you need two sets of requirements. Let’s go over each of these in detail. The first one is intended for the application form. All applicants, regardless of the course, are required to accomplish the application form and secure an appointment with the PRC online. a. Internet connection and a web browser (preferably Mozilla Firefox). b. A valid e-mail address (with password). d. Your personal data (including date of graduation). e. A valid ID card (e.g., NBI clearance, Police clearance, Philippine passport, Philippine Postal ID, etc.). f. 2 x 2 ID picture in .jpg format saved on your device (desktop computer, laptop, phone, or tablet). If you’ll have your photo taken at a studio, request for an e-file or soft copy to get your ID picture in .jpg format. For photo specifications, please jump to step 4 of this guide. Meanwhile, the second set of requirements includes course-specific documents. These may include Transcript of Records, Birth Certificate, Marriage Contract, NBI clearance, etc. This page shows the list of documentary requirements arranged according to course. You may also view the PDF version here. You will need to bring these requirements along with the duly accomplished application form (more on this later) on the day of your appointment at the PRC. In order to complete the exam application online, you first need to create an account with LERIS. If you don’t have an account yet, go to the PRC Online Services (LERIS) website and register. After reading the terms of services, click the green “I Agree” button. Then, complete the registration process by filling out the form with the requested information. Here’s the list of personal information you need to provide. Name suffix like Jr. or III (leave blank if you have none). Your e-mail address and a password (must be at least 6 characters composed of numbers, letters, and special characters). Log in using the same username (i.e., your e-mail address) and password you created during registration. 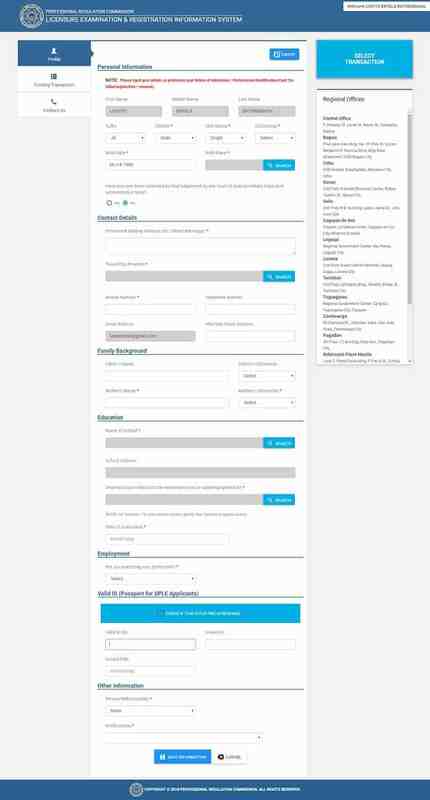 Complete your profile by filling in the requested information in the blank spaces provided. Permanent mailing address (No./Street, Barangay, Town or City, Province). Alternate e-mail address (if you have any). Your father’s name and citizenship. Your mother’s name and citizenship. The name of your school, its address, the course you took in that school, and the date of your graduation. Valid ID number as well as place and date it was issued. 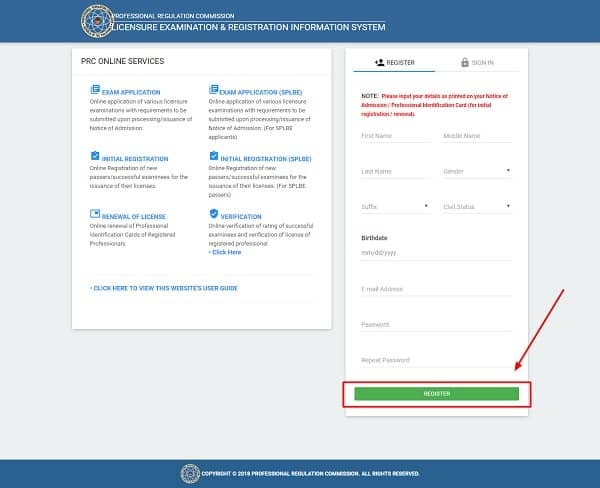 Below the “Valid ID” section, there’s a box that says “Check if this is for PRC ID Renewal.” Since you’re applying for the licensure examination, leave this box unchecked. Double-check the information you’ve provided and correct any spelling or syntax errors. Once you’re done, click “Save Information” to proceed to the next step. A small box will then appear asking you to verify if the name you’ve provided is complete and accurate. You will be taken to a page containing a small grey box with a camera icon on its bottom left corner. Click this camera icon to show the photo requirements you need to adhere to. 2 x 2 size in a plain white background. Must be recent and should resemble the applicant. Taken not more than 6 months prior to uploading. Applicant must wear decent attire with collar. Must show the applicant’s ears. Applicant must not wear eyeglasses. Click “Choose file” and select the image stored in your device. Finally, click the “Upload Image” button to proceed to the next step. Click “Select Transaction” on the upper right corner of your profile page. Choose the first tab (i.e., “Examination”). Next, select the name of your examination, examination type (Complete/First-timer, Repeater, or Removal/Conditioned), date of examination, and place of examination. Name of the Examination: PROFESSIONAL TEACHER. Once you’re done, hit “Proceed” to confirm the selection. Choose your preferred PRC Regional Office where you’ll file your application. Here’s a list of PRC Regional Offices you can choose from. To accommodate more applicants, PRC has also opened different service centers in select malls and establishments. After choosing a PRC Regional Office from the drop-down list provided, the system will automatically provide you with an appointment date and time. This is when you’ll personally submit the application form along with other requirements (see step 1) to the PRC. Take note that PRC has a “no same-day appointment” policy which means you can’t have an appointment with the PRC on the same day of your online transaction. All appointments are scheduled in advance. Also, remember that appointment slots are free and very easy to get as long as you have an Internet connection. PRC warns applicants against fixers who may ask for your personal information, e-mail address, and password and promise quick transaction with the PRC in exchange for a fee. Although the modes of payment will be expanded in the future, LERIS only offers three payment options as of this writing. PRC – CASHIER (over the counter). Select PRC – CASHIER if you prefer to make the payment personally at the PRC office or service center on the day of your appointment. As of this writing, application for licensure examination costs Php 900. A summary of your transaction will be displayed. Click “Submit” to proceed to the next step. Meanwhile, if you prefer to pay via LAND BANK, you will be redirected to the LBP ePayment Portal. LAND BANK (if you have an ATM account with Land Bank). BancNet (for banks other than Land Bank. For your convenience, here’s a list of BancNet participating banks). G-Cash (an online payment service that turns your Globe mobile number into a virtual wallet). 10-digit Land Bank ATM account number. Joint Account Indicator (JAI), if applicable. Click “Submit” to confirm payment. A summary of the transaction will then be displayed. You can click “Print” to get a copy of this payment confirmation (recommended) or “Ok” to proceed to the next step. For Land Bank-related payment concerns, you can call 405-7000 or email at customercare@mail.landbank. Upon choosing “BancNet” as a payment option, you will be redirected to a BancNet window or page. In case it doesn’t appear, ensure that the popup blocker in your browser is disabled or turned off before trying another transaction. Your 16-digit ATM Card Number. Click “Pay” to submit payment. You will then be given a copy of the payment confirmation. Click either “Print” to save a copy of it or “Continue” to return to the payment portal. If you choose to pay via G-Cash, you will be asked to enter your 11-digit mobile number. For successful payment, make sure your G-Cash account is loaded with the required amount (Php 900 + Php 20 transaction fee). To authorize the payment, reply with your 4-digit mobile PIN to the SMS confirmation that will be sent to you. In December 2018, UCPB or United Coconut Planter’s Bank started accepting payments for different transactions with PRC like exam application, PRC ID renewal, and initial registration. The payment can be made over the counter at any UCPB branch. Since you don’t necessarily need to have an account with UCPB to make the transaction, this payment option is ideal for those who can’t use Option 2 to pay the fee online. Should you choose UCPB, a reference number will be displayed on your screen. Record or take a screenshot of this reference number and provide it when making the payment personally at any UCPB branch. Go back to your profile page and choose “Existing Transaction” from the main menu. Click the “Payment Details” to double-check if your online payment has pushed through. Select “Print Document” to view the printable copy of your duly accomplished PRC examination application form. Click the printer icon on the upper right-hand corner of the document to start printing. On the day of your appointment, bring the printed application form to the PRC along with other documentary requirements (see step 1) and the application fee in case you’ve selected the PRC – CASHIER payment option (see step 7). In case you encounter technical problems while completing the online application, you can email PRC’s technical team at prc.sple@gmail.com. a. Upon arrival, go to the PRC Customer Service center and pay for the documentary stamp (Php 21 per piece). b. Next, proceed to the Processing Counter to submit all the requirements which include your printed application form and other course-specific documents. The Processing Officer will ask for your signature, thumb mark, and the documentary stamp. After checking and evaluating the requirements you’ve submitted, you will then be issued the Permanent Examination & Registration Record Card (PERRC) which you should accomplish immediately. c. Go back to the PRC Customer Service center to buy a metered mailing envelope (Php 30 per piece). d. Submit the metered mailing envelope with the processed application form and the rest of the requirements at the Issuance Counter. Wait for your name to be called. After evaluating all the documents you’ve submitted, the issuing officer will print, sign, and issue you the Notice of Admission (NOA) with the attached Program of Examination and metered mailing envelope. And there you have it: Your PRC online application is now complete. To know your room assignment, don’t forget to check the PRC website 2 to 3 days before your scheduled examination. My appointment is this coming Feb.1,2019..1:00 PM. aT ROBINSON Butuan City. at ang aking Reference no ay EXJYBX9J5BRZ . Na screen shoot ko po ito. Then nagka offline agad ako. Ang tanong kopo. PWD PO BANG IPAKITA KO NALANG ITONG SCHEDULE NANG APPOINTMAENT at REFERENCE no. ko sa PRC ROBINSON, Butuan city at doon na sa cashier ako magbayad at humungi ng APPLICATION FORM? My schedule for filing ( teachers exam ) is this coming Feb.1,2019 at 1:00pm at ROBINSON, Butuan City. And my reference no. is EXJYBX9J5BRZ. Na screen shoot ko po ito..
My problem is nag offline agad ako.. . Ang tanong kopo pwd na po bang ipakita ko nalang yong schedule ko at reference no.. at doon na ako magbayad at humingi ng APPLICATION FORM? sa PRC ROBINSONS, Butuan City? Pls. I’m waiting for your response. God Bless! Palagi n lng error at under maintenance Ang prc online website.. hnd mkpagpa appointment kelangn n tlga magrenew..ng try ndn mg walk in hnd nmn nla inientertain kc kelngn mo ung barcode pra mkpagbyad.. Ang tanging option lng eh online appointment.. jusko 2weeks ng ganito.. error lng plagi.. pls nmn Po pkiaus na.. kelngn n Po tlga mgkapagrenew..
Ilang araw na di ako maka set ng appointment dahil ang LERIS laging nag rereload at nag e-error. After ko pumunta ng regional office this coming monday as walk in, kung di nila ako i-acommodate dahil kailangan may online appointment tatawag na ako sa 8888. And kung sino man jan having the same problems due to inefficient transactions by a government institution I advice you to do the same para naman maaksyunan na. Lahat ng taong nagtatrabaho at gustong magtrabaho sa pilipinas dumadaan sa prc. Walang respeto sa mga professionals and those who are trying to get a license to work and participate in the Philippine economy. Ano ba talaga PRC? Tulong ba kayo sa pilipinong gustong magtrabaho o isang malaking balakid at sakit ng ulo? Umayos naman kayo. Since december pa ako login ng login wala talaga di makapasok.. pahelp nman po kung paano makakuha ng appointment malapit na po deadline BSpharmacy salamat po. Okay naman sakin yung website, kaso pagdating na dun sa pagcomplete ng profile details, Lalo na yung mga may drop down menu (Birth Place / Name of School), kusang nagrereload yung site. Tapos error na naman. Tapos uulitin ko na naman lahat ng natype ko. Paulit ulit. This guide is for those applying for the board exam. We’re currently working on a separate guide for those who already passed the exam and requesting for board exam cert. Thanks. PRC site is always undermaintenance for the past 2 everytime i get to set an online appointment. Should i go directly to the office even without having an online appointment? Gusto nila online appointment pero palagi namang nag eerror yung page. Paano ba yan??? nakakainis.. nkailang input nko ng info then bgla nlang lalabas “undermaintenance” Ano b kailangan gawin? mag walkin? nahihirapan n talaga ko mgfile. Pano mag set appointment for exam? I always try to go online but always undermaintenance even 10 pm or 7 am I also try that hours but still undermaintenance. Can I go to your office for online because I wondering the deadline. Kahapon pa po ako log in ng log In sa PRC but laging incorrect yung password and email kahit na nakakailan na akong try gumawa ng account but in the end pag dating sa pag log in wala pa RIn. No Slots na bA? Or may problem lng tlaga ang Prc??? 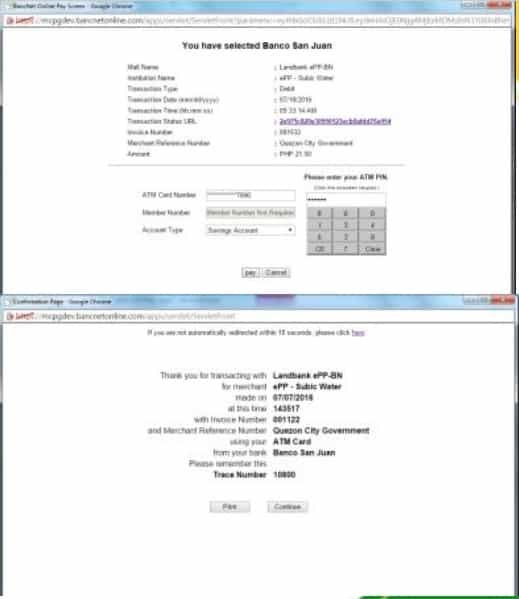 Is my reference of transaction via Landbank already cancelled if I did not able to pay for it on that same day? What will happen to my slot? How to apply for online application for let exam? Same process. Please read the whole article.